The sun continues to shine. Hard to believe this isn't mid-summer with 70+ degree days. We haven't seen rain up here once since we arrived on April 19th! My guess is that's probably about to change. 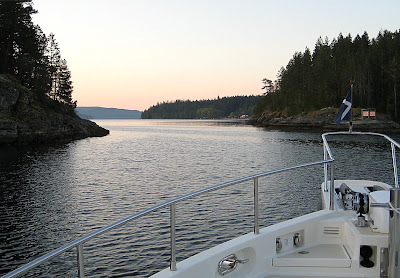 We left Secret Cove early and cruised north along the BC Coast passing Pender Harbour, Powell River and Lund, until we reached that favorite cruising ground known as Desolation Sound. Little wind, flat seas and lots of sun. On the way we did a little "war boating" to check the news and retrieve our email. Secret Cove to Refuge Cove, then Squirrel Cove. Alex used the ham radio to "check-in" to the Vancouver Island 2-Meter Net. 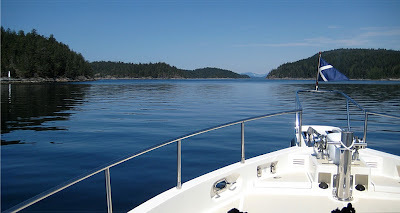 It's nice to know, that even without cell service, you can get instant communication from anywhere on the Inside Passage east and north of Vancouver Island to a 2-Meter repeater, and the many ham radio operators that monitor the network. 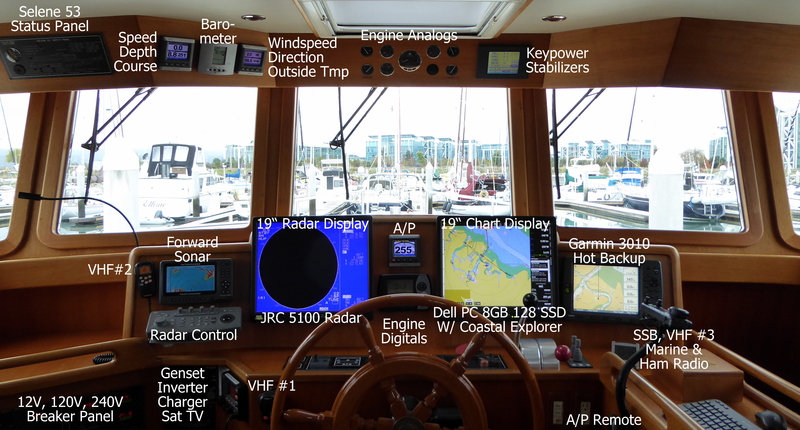 While underway we monitor Marine VHF channel 16, the general calling and distress frequency, and also channel 13, the ship to ship calling frequency. 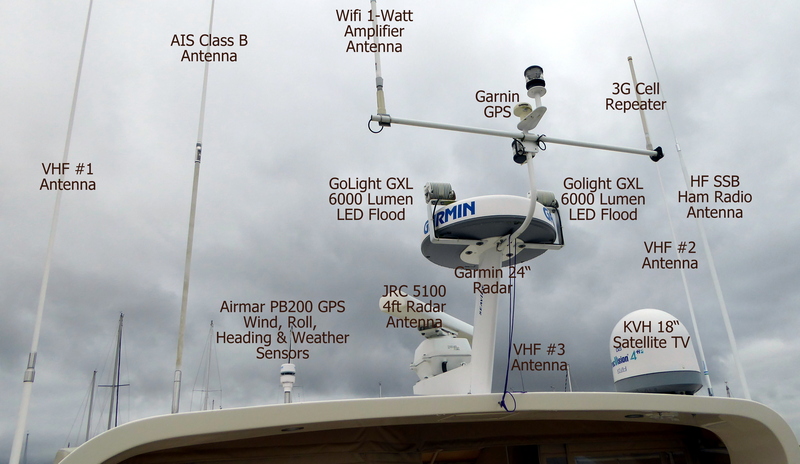 If there is an message or notice to shipping, the Coast Guard usually announces the broadcast and gives another channel number to switch to hear the Notice. It is unusual to broadcast a notice on channel 16, unless a ship is sinking, etc. So about mid-morning the Coasties come on Channel 16 with an urgent Notice to Mariners. It seems that the Canadian Navy has lost a torpedo in the vicinity of the Whiskey Gulf test range. Apparently the torpedo could have gone a long way, until its fuel ran out. It is described as 15" in diameter and 6 feet long, floating but mostly submerged. Believe me, we are keeping our eyes focused in front of the boat! Our goal was to spend the night attached to the dock in Refuge Cove, however when we arrived the dock was a construction zone. The girl at Refuge Cove said they would be open for business on June 1st, and that was just a bit too long to wait. After checking the charts, we decided to motor across the channel to Squirrel Cove, a nicely sheltered anchorage. 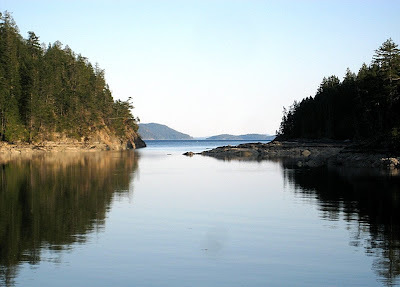 That narrow opening just to the left of the bow is the entrance to Squirrel Cove. Wow! What a skinny entrance. Once anchored inside the glassy waters and scenic views are quit calming. 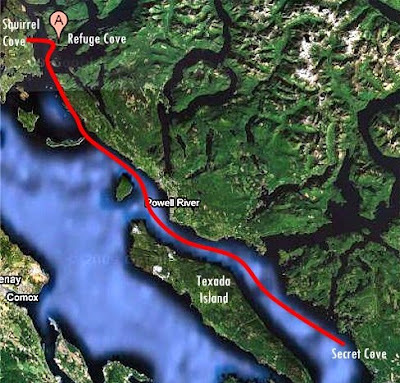 We're hoping that missing torpedo can't find its way into the slim opening of Squirrel Cove.